Robert King has nearly 20 years of experience helping clients with their legal needs. 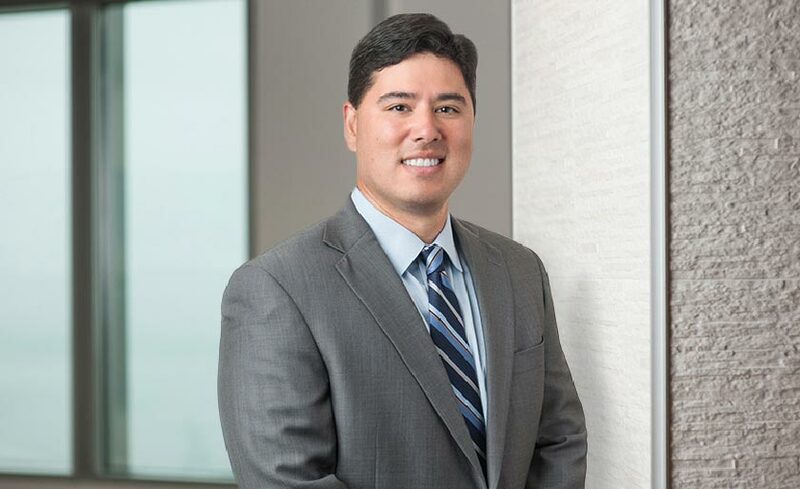 He has extensive experience as a civil litigator, focusing on commercial, real estate, construction, partnership, and personal injury cases. He has helped guide clients through the entire litigation process, including jury and non-jury trials. Robert also has experience advising clients with leases, construction contracts, purchase and sale agreements, and land use. Robert was formerly with the with the law firm of Ryan Swanson & Cleveland in Seattle, where he was a partner. Robert grew up in Tacoma, Washington. Following law school, he completed a two-year clerkship with the Honorable J. Dean Morgan State Court of Appeals, Division II. He moved to Walla Walla in 2018 to be closer to family. Robert enjoys golfing, cycling, and travel. During most weekends, you will probably find Robert coaching or standing on a sideline cheering on his two children. Robert’s representative work includes trials, motion practice and mediated disputes on behalf of businesses and individuals. Mukilteo Retirement Apartments, LLC v. Mukilteo Investors, LP, et al., Snohomish County Superior Court. Robert helped represent a tenant to enforce its rights under an option agreement. The dispute went to trial and the trial court ordered the landlord to sell the real property and awarded substantial damages to the tenant for the landlord’s wrongful delay in the sale of the facility. Published decision at 176 Wn. App. 244, 310 P.3d 814 (2013). Nunnery v. Evergreen Kitsap, LLC, et al., Snohomish County Superior Court. Robert defended a skilled nursing facility against claims of negligence, outrage and neglect of a vulnerable adult. Following a three week trial, the jury returned a defense verdict on all claims. Payne v. Canterbury House, LLC, et al., King County Superior Court. Robert defended a skilled nursing facility against claims of negligence, outrage and neglect of a vulnerable adult in a jury trial. After three weeks of trial, the Court declared a mistrial and awarded sanctions against the plaintiff. Brown v. Holder, Pierce County Superior Court. Robert successfully helped a partnership pursue claims against another partner for breach of fiduciary duty and conversion of partnership assets. New Albertson’s, Inc. v. AMEC Earth & Environmental, Inc., et al. Robert helped an owner resolve claims against two contractors arising from alleged faulty construction of a parking lot. Sunwoo v. Myall, King County Superior Court. Robert helped property owners to successfully defeat a neighbor’s claim for a prescriptive easement following a bench trial.